Radiant mesh vector background with white fabric like curves and a colorful and highly decorative swirly scroll design. Gold, red and blue spiraling gradients create a luxurious feeling in the free download. Ornate and lovely graphics for holiday season greeting cards and celebration themes. 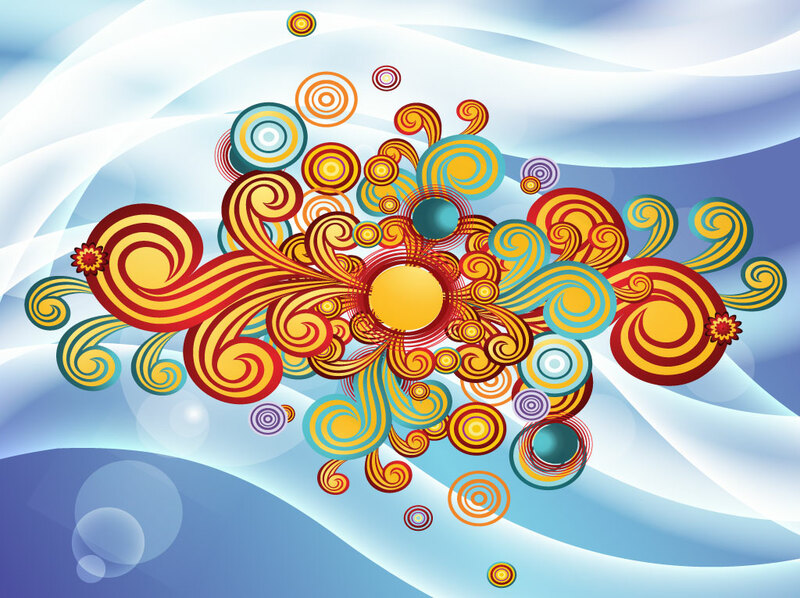 Tags: Celebration, Colorful, Dynamic, Elegance, Floral, Fresh, Plants, Scrolls, Swirls.